If there was a polar opposite Air Bnb from the Turtle Lair — an overdose of neon nostalgic distractions, briefly available to rent in Tribeca for $10 a night — it might be La Pitchoune. 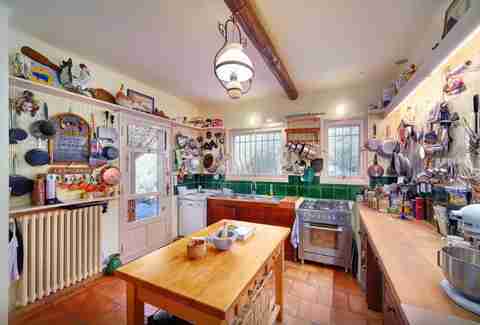 Julia Child's home in Côte d'Azur, or the French Riviera, is a lush, remote cottage that costs visitors north of $600 per night (with a five-night minimum) with the primary attraction being a beautifully preserved kitchen. It's kind of perfect that the home is on Air Bnb. Child frequently shared La Pitchoune with friends and artists. 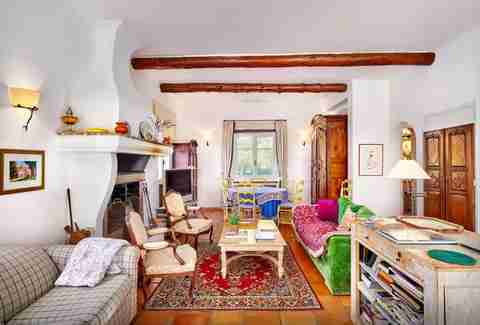 Now owned by Evie and Makenna Johnston, the first owners with no direct connection to Child, the spirit of the Châteauneuf home is still alive, welcoming visitors looking to relax and make beef stroganoff. 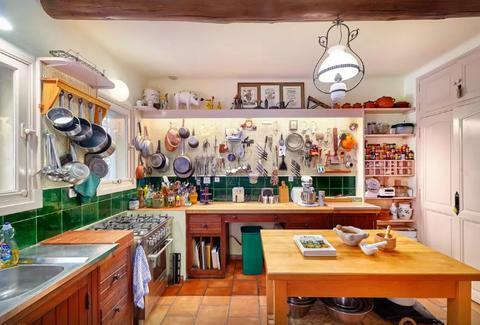 While alterations to the cottage have been made over the years, the kitchen looks remarkably similar to how Child had it with the raised counter to accommodate her height, pegboard walls, and its green tile backsplash. "The kitchen has been maintained impeccably," says author Luke Barr, who wrote a book at "La Peetch" in the 70s. The exceptions being a new oven and security cameras in place to protect Child's culinary artifacts still in place. The cottage is currently booked through the end of 2016, but the Johnstons are taking reservations into 2017. They also have plans to do yoga and culinary retreats at the home. Currently, the minimum stay will run $3,050, so you might need a pinch of Child's "what-the-hell attitude" to get things moving on this culinary pilgrimage. Dustin Nelson is a News Writer with Thrillist. He once warg-ed into a celebrity chef. Follow him @dlukenelson.